Nos conditions générales de vente en allemand et en anglais s'appliquent à tous les contrats. L'affichage des conditions générales nécessite Adobe Acrobat Reader qui peut être téléchargé gratuitement sur le site web d'Adobe. The board of directors is composed of the chairman, Dietmar Arnold, and deputies, Andreas Körner and Jürgen Wedemeyer. The BU e.V. was registered with the Berlin Charlottenburg Local Court in the register of associations on December 5, 1997, under the registration number 17912Nz. Place of jurisdiction is Berlin. (b) the buyers of goods in our online shop at www.berliner-unterwelten.de (hereinafter referred to as “Buyers”). - Group Events (e.g., group tours, group seminars, guided group tours through exhibitions) with groups of Participants. Special provisions may apply to Seminars, Group Events or orders in the online shop (this will be made clear in the respective provisions). The GTC apply to all customers (e.g., consumers, businesspersons, merchants). (2) All agreements between the customers and us can be found in these GTC, our offers (e.g., in the case of Group Events and Seminars), our confirmations and our acceptances. If entry tickets are bought through external providers, the general terms and conditions of such external providers may additionally apply; see § 2 (1). (3) The GTC in the version effective at the time of the execution of the contract is the legally relevant version. (4) Deviating terms and conditions of the customer shall not be accepted. This also applies even if we have not expressly objected to the applicability of such terms and conditions of the customer. The contract with single Participants for Events is concluded through the sale of an entry ticket. Entry tickets can be bought at our public ticket counters (in particular our ticket pavilion at Brunnenstraße 105, 13355 Berlin) or for special events through online platforms, such as www.reservix.de. If the customer buys entry tickets through external providers, such as www.reservix.de, in addition to our GTC the general terms and conditions of the external providers may apply (such general terms and conditions will be made available to the customer at the time of conclusion of the contract by the external provider). Entry tickets are only valid for the event, date, and time specified on the ticket. The presentation of group events on our website does not constitute a legally binding offer for the conclusion of a contract. Interested Participants may send us an inquiry for a Group Event through the respective online contact form on our website. This inquiry is not legally binding and does not constitute a binding offer for the conclusion of a contract for a Group Event. After filling out the online contact form, the interested party will click on the button “Check entries”. After clicking on this button, the interested party will be led to a page with an overview of his/her entries and has the chance to check his/her entries. At the end of the page, the interested party may choose between the button “Back to form” in order to make corrections, or the button “Confirm”, in order to send the online contact form to us. We will confirm the receipt of the online contact form immediately by email. Such email does not constitute a binding offer for the conclusion of a contract for the Group Event, unless such offer is expressly declared in the email in addition to the confirmation of the receipt. If such an offer is not made, we will send a binding offer for the conclusion of a contract for a Group Event to the interested party in a separate email (in exceptional cases also by regular mail). Alternatively, interested Participants may contact us by telephone, email, fax, regular mail, or personally with respect to a Group Event. On request, we will send the interested party a written offer. In order to accept the offer, the interested party shall sign the offer and send it back to us. After receipt of the signed offer, the contract with the signing Participant is concluded. If a contract for the Participants is to be concluded on behalf of a group of Participants, this must be made clear when the inquiry is made; the group must be clearly identified (name, legal form, address, in the case of partnerships with the names and addresses of all members). The acceptance of the offer has to be signed on behalf of and with a valid power of attorney for the group by the legally authorized representatives of the group. In general, our offers for Group Events are binding for us for the acceptance period stated in the offer. If no acceptance period is stated in the offer, our offers are binding for an acceptance period of 30 days after the offer is made (the date of the offer is relevant). We must receive the acceptance of the Participant within this acceptance period. The contract with the Participant is only valid for the event, date, and time specified in our offer. We will send the invoice for the participation fee to the representatives of the group after the conclusion of the contract. With respect to the payment conditions, see § 3 (2). The presentation of Seminars on our website does not constitute a legally binding offer for the conclusion of a contract. Interested Participants may send us an inquiry for a Seminar through the respective online contact form on our website. This inquiry is not legally binding and does not constitute a binding offer for the conclusion of a contract for a Seminar. We will confirm the receipt of the online contact form immediately by email. Such email does not constitute a binding offer for the conclusion of a contract for the Seminar, unless such offer is expressly declared in the email in addition to the confirmation of the receipt. If such an offer is not made, we will send a binding offer the conclusion of a contract for a Seminar to the interested party in a separate email (in exceptional cases also by regular mail). In order to accept the offer, the interested party shall send it back to us (by email, fax, or regular mail). After we have received the offer, the contract with the Participant is concluded. In a few cases, changes to the offer may be made in consultation with the Participant. In such a case, we will send a new offer (which may also be titled “registration confirmation”) to the Participant with the changes, which the Participant shall accept by email or regular mail. Only after such acceptance is the contract for the participation in the Seminar with the changes concluded. The contract for the participation is only valid for the event, date, and time specified in our offer. In general, our offers for Events are binding for us for the acceptance periods stated in the offers. In the case that no acceptance period is set in the offer, our offers are binding for an acceptance period of 30 days after the offer is made (the date of the offer is relevant). We must receive the acceptance of the Participant within such acceptance period. The Participant shall receive the invoice for the participation fee after conclusion of the contract. With respect to the payment conditions, see § 3 (3). The presentation and promotion of goods in our online shop does not constitute a binding offer for the conclusion of a sales contract. By clicking on the button “In den Warenkorb”, you can place the respective goods in the virtual shopping cart. This procedure is not binding and does not constitute an offer for the conclusion of the contract. Before the customer submits the order, the content of the order including all of the customers’s data will be summarized on an overview page. You can correct your data (e.g., address, invoice information, payment method) by clicking on the respective buttons (on the wheel) on the overview page. You can correct the order in the shopping cart (e.g., article or amount) by clicking on the button “Bestelldaten im Warenkorb ändern” (all other data remains unchanged). By submitting an order to the online shop by clicking on the button “zahlungspflichtig bestellen”, you place a legally binding order. Your right to cancel the order according to § 10 below, if any, remains unaffected. We will confirm the receipt of your order from the online shop immediately by email. Such email does not constitute a binding acceptance of your order, unless such binding acceptance shall be declared in addition to the confirmation of the receipt. The contract will only be concluded if we declare the acceptance of your order or if we deliver the ordered goods. Should the delivery of the goods you have ordered not be possible, for instance, if the goods are not in stock, we will not declare the acceptance of your order. In such a case, a contract will not be concluded. We will immediately inform you about these circumstances and will immediately reimburse you for all payments made. You guarantee that all entries [e.g., name, address, email address, bank information, invoice information, necessary information for groups, see § 2 (2)] made during your order or registration for goods in the online shop or the registration of Events are accurate and correct. You must inform us of any changes immediately. If you request a correction of an invoice because of an incorrect entry of yours, we will charge a flat fee of 5.00 EUR per correction of an invoice. However, you remain entitled to prove that no damage has been caused or that the damage is significantly lower than the flat fee. The contractual language shall be exclusively German and English. (a) If you contact us through our website (e.g., through an online contact form) or if you place an order in the online shop, you can save, download, or print these GTC at any time (see the information at the end of the GTC). If you place an order in the online shop, the text of the contract will be saved after conclusion of the contract and available to you. If you place an order in the online shop, you can save or print out the content of your order immediately after placing the order. In the case of distance contracts with consumers, we will provide a confirmation of the contract (containing the content of the contract) including these GTC within a reasonable period of time after conclusion of the contract, but not later than the delivery of the goods or the beginning of the services, on a durable data carrier (email or regular mail). Distance contracts with consumers are all contracts according to § 312 e BGB (German Civil Code) using exclusively distant communication means (such as email, telephone, fax, regular mail, online shop) for contract negotiations and the conclusion of the contract, unless such conclusion of contract is not made within the framework of a distribution or service system set up for distance contracts. A consumer according to § 13 BGB is any natural person who concludes a legal transaction for a purpose that cannot be predominantly attributed to his/her commercial or self-employed professional activity. (c) If the customer buys entry tickets personally at our ticket counters, the GTC are available to be read there, too. The payment of entry tickets for individual Participants at Events can be made personally at our local ticket counters (in particular our ticket pavilion at Brunnenstraße 105, 13355 Berlin) in cash or, if the technical requirements are met, with an EC/Maestro card or credit card. If Participants buy tickets through external providers, such as www.reservix.de, the payment methods of those providers shall apply. The participation fee for Group Events must be paid either in advance at least two weeks prior to the Event per wire transfer, or after the Event in cash to the respective tour guide, or within eight days after receipt of an invoice per wire transfer to the BU e.V. Payment by invoice is only possible for billing addresses inside the Federal Republic of Germany. Payment via direct debit mandate or EC/Maestro card or credit card is not possible. Individual Participants in Seminars must pay the participation fee at least two weeks before the start of the seminar to the specified bank account of the BU e.V. per wire transfer. Payment via direct debit mandate or EC/Maestro card or credit card is not possible. The purchase price and the shipping costs for orders from the online shop must be paid to the bank account specified in the online shop (in advance or after receipt of an invoice). You are not entitled to offset claims against our claims, unless your counter claims are legally established or undisputed by us. However, you are entitled to offset claims in the case of a notice of defects or counter claims resulting from the same contract. You are only entitled to claim withholding rights if your counter claim arises from the same contract. (1) The BU e.V. tours, Seminars, exhibitions and Events are generally not accessible to disabled guests. Smoking is prohibited. Guests are prohibited from bringing animals with them. Photography and filming are forbidden in facilities for which the BU e.V. is responsible. Large bags and backpacks as well as bulky or sharp-edged objects are not permitted. Luggage storage is not provided. The instructions of BU e.V. personnel are to be followed at all times. (2) For some Events there are age restrictions, or it is specified that minors must be accompanied by a parent or guardian. For some Events there are certain clothing and/or equipment requirements. Details are available in the flyers and/or on the BU e.V. website and/or in the registration confirmation and/or during the safety and security briefing. (3) At the beginning of each Event there will be a safety briefing for the Participants. If a Participant misses this safety briefing, the Participant will not be permitted to enter later. Participation fees already paid will not be refunded. However, the Participant may prove that no damage has been caused or that the damage is significantly lower than the participation fee. Participants who are visibly intoxicated, who disrupt the flow of a tour or other events, who endanger themselves or other persons, who do not follow the instructions of the BU e.V. personnel or the conditions of participation and rules of conduct (see § 4), who, where relevant, do not accept the safety briefing or refuse to sign a waiver of liability or disclaimer [see § 15 (2)], can be refused entry or continued participation or permission to stay in the BU e.V. facilities by the guide or supervisory staff of the BU e.V. The participation fee will not be refunded to the excluded Participant. However, the Participants may prove that no damage has been caused or that the damage is significantly lower than the participation fee. (1) Where it is impossible or extremely difficult to execute an Event as a result of circumstances beyond the control of the BU e.V. (e.g., force majeure, sickness, public transport strike, unavoidable maintenance or safety measures), the BU e.V. has the right to withdraw from the contract. Additionally, we have the right to withdraw from the contract if the minimum number of Participants in public Events (excluding seminars) of five persons and Seminars of seven persons is not reached. Furthermore, we reserve the right to cancel Events if the safety of the Participants cannot be guaranteed. We are obligated to execute our right of withdrawal according to § 6 (1) as soon as possible. Participation fees that have already been paid by the Participants will be immediately refunded. (2) We furthermore have the right to withdraw from the contract if we come to the conclusion that Participants present at an Event are significantly disrupting or hindering the execution of an Event, are a danger to the general safety of the Event, are making statements or actions in violation of the German constitution or using unconstitutional symbols. Participation fees that have been paid will not be refunded. However, the Participants may prove that no damage has been caused or that the damage is significantly lower than the participation fee. Participants may withdraw from agreed Group Events [see § 2 (2)] and Seminars [see § 2 (3)] without giving a reason up to seven days before the Event without incurring a cancellation fee. If the cancellation is made more than 24 hours in advance of the Event, 30% of the participation fee will be charged as a cancellation fee. If the cancellation is made within 24 hours of the Event, 80% of the participation fee will be charged as a cancellation fee. If a group or a Participant does not appear at all to an Event agreed upon without having cancelled the Event, we will charge 100% of the agreed participation fee. However, the Participants may prove that no damage has been caused or that the damage is significantly lower than the participation fee. The aforementioned rights of withdrawal or cancellation do not apply to contracts with individual Participants in other Events [see § 2 (1)]. With respect to Group Events, changes to the registered and booked number of Participants must be communicated to the BU e.V. not later than the day before the Event by 4:00 p.m. (the date and time the BU e.V. receives the information is relevant) in writing (regular mail) or per email and must be confirmed by us. If we did not receive such information in time and the number of Participants was reduced, we will charge for the registered and confirmed Participants (and the tours planned). Example: If the number of Participants for a specific tour is limited to 30 persons and the customer registers and books for 35 Participants, we will provide for two tours and the personnel necessary for two tours. Should only 25 Participants show up at the agreed time (without prior timely information received by the BU e.V. about such reduction), the second tour will be cancelled; however, such second tour will be charged to the customer. However, the Participants may prove that no damage has been caused or that the damage is significantly lower than the participation fee. If the number of Participants showing up to an Event is increased without prior information to and confirmation by the BU e.V., we reserve the right to exclude the Participants in excess of the agreed upon amount from the Event if the maximum group size has been reached and sufficient personnel is not available. We request that Participants appear in time for reserved Events (at least 15 minutes prior to the beginning of the Event). Should Participants arrive late at the contractually agreed meeting point and starting time of the Event, they are in default. In case of such late arrival, we are entitled to shorten the duration of the tour without compensation by the amount of time that the start of the tour was delayed. Where the Participants are more than 15 minutes late, they will generally lose their right to the execution of the Event because the following time slots will usually be occupied by the next visitor group. In this case, we have the right to receive the agreed price for the event. However, the Participants may prove that no damage has been caused or that the damage is significantly lower than the participation fee. (1) If you are a consumer you have the right of cancellation according to the statutory regulations. With respect to the definition of “consumer” see § 2 (7) (b). (2) If you exercise your right of cancellation as a consumer according to § 10 (1) in the case of ordering goods, you will have to pay the regular costs of returning such goods. (a) Contracts for the rendering of services in connection with leisure time activities if the contract provides for the rendering of services on a specific date or period (this exception does not apply to contracts on travel services according to § 651 a BGB/German Civil Code, if such contracts were concluded outside of an office, unless the oral negotiations, on which the conclusion of the contract is based, were made at the prior request of the customer). This means: If we offer services in connection with leisure time activities, in particular entry tickets to Events or offers for the participation in Events on specific dates or time periods, you have no right of cancellation. The purchase and the ordering of entry tickets and the acceptance of our offers for Events are therefore binding for you. (d) Contracts for the delivery of newspapers, journals, or magazines with the exception of subscription contracts for the supply of such publications. You have the right to cancel your order without giving any reason within 14 days. The cancellation period is 14 days beginning with the day on which you or a third party indicated by you (other than the carrier) receives the goods purchased, or, in the case of services, from the day of the conclusion of the contract. In order to exercise your right of cancellation, you must inform us [Berliner Unterwelten e.V., Brunnenstraße 105, 13355 Berlin, tel. : (030) 499 105 17, fax: (030) 499 105 19, email: buero[at]berliner-unterwelten.de] with a clear declaration (e.g., by regular mail, fax, or email) about your decision to cancel the contract. You may use the attached sample form of revocation; however, such use is not required. You can download the sample form of revocation from our website www.berliner-unterwelten.de/en/right-of-cancellation, fill it out, and submit it to us. To meet the cancellation deadline, it is sufficient that you inform us that you are exercising your right of cancellation before the cancellation period has expired. If you cancel this contract, we will reimburse you for all payments received from you, including shipping costs (except any additional costs that are the result of your request to us to use a shipping method other than the cheaper shipping method we offer), immediately and not later than 14 days from the day on which we received your information about the cancellation of this contract. For such reimbursement we will use the same means of payment as you used for the initial transaction, unless you have expressly agreed otherwise. In no case will we charge any fees as a result of such reimbursement. - In the case of purchase agreements (sale of goods) the following applies: We can refuse the reimbursement until we have received the goods returned to us or until you can prove that you have returned the goods, whichever is earlier. You must send back the goods or give back the goods immediately and, in any case, not later than 14 days after the day on which you informed us about your cancellation of the contract. This deadline is met if you send the goods before the period of 14 days has expired. You must bear the direct costs of sending the goods back to us. You will only have to pay compensation for any deterioration of the goods if the value of the goods has diminished due to your handling of the goods (except what was necessary to establish the nature, characteristics, and functioning of the goods). - In the case of services, the following applies: If you requested from us that we begin the services during the cancellation period, you must pay us a reasonable amount based on the proportion of our services rendered before the moment you informed us about your exercise of the cancellation right of this contract in comparison to the total scope of the services provided for in the contract. (If you want to cancel this contract, please fill out this form and send it back to us). (*) Please delete information that is not applicable. (1) We are entitled to partial deliveries if reasonable for the customer. (2) The delivery period for goods is 5 (five) working days unless agreed otherwise. The period begins – subject to the provision in § 11 (3) – with conclusion of contract. (3) With respect to orders from customers with a place of residence or office outside of Germany or in the case of justified indications of a risk of default we reserve the right to deliver only after receipt of the sales price including shipping costs (reservation of advance payment). If we exercise our right to reservation of advance payment, we will inform you immediately. In this case, the delivery period begins with the payment of the sales price and the shipping costs. (1) All prices quoted on our website for goods and services and other promotional material are inclusive prices including any applicable value added tax (VAT), but exclusive of delivery costs. (2) The delivery costs for orders in the online shop are clearly communicated on our website. The price including VAT and applicable delivery costs will furthermore be shown on the order page before the customer sends the order. (3) If we fulfill your order in the online shop according to § 11 (1) by partial delivery, you only have to pay shipping costs for the first partial delivery. However, if we make partial deliveries at your request, we will charge you for shipping costs for every partial delivery. (4) If you cancel your contract for orders in the online shop with legal effect according to § 10, you have the right – in line with the legal requirements – to ask for the reimbursement of any shipping costs for the shipping from us to you already paid by you [with respect to further consequences of a cancellation, see § 10 (3)]. We retain the property title to all delivered goods until they have been paid for in full. (1) We are liable for any legal defects or material defects according to the statutory provisions, in particular §§ 434ff. BGB/German Civil Code. The statute of limitations for statutory warranty rights is two years and begins with the delivery of the goods. (2) Apart from this, further seller warranties for specific goods or manufacturer warranties given by manufacturers for specific goods can apply in addition to legal or material defects according to § 14 (1). Details with respect to the scope of such warranties are described in the warranty regulations enclosed with the goods (if any). (a) We are liable without limitation for intent and gross negligence. (b) In the case of simple negligence, we are only liable – except in the case of death or injuries to the body or health – if we violated material obligations, the performance of which is of material importance to the achievement of the purpose of the contract (cardinal obligations). The liability is limited to damages which are typical for the contract and foreseeable. (d) Any liability in excess of the liability provided for in this contract is – regardless of the legal nature of the claim – excluded. Such limitations of liability or exclusions of liability do not apply to any mandatory legal liability regardless of culpability (e.g., according to the product liability statute) or the liability resulting from a warranty regardless of culpability. (e) To the extent that the liability according to § 15 (1) (b) and § 15 (1) (c) is excluded or limited, this also applies to the personal liability of our employees, representatives, organs, or performing agents. (2) In individual cases the owner or possessor of a facility may ask for a waiver of liability or an exclusion of liability as a requirement for the entry to the facility. In such cases, the Participant must declare such a waiver of liability or agree on such an exclusion of liability with the owner or possessor of the facility. We may hand out the respective form to the Participant for signature. Such waiver of liability or exclusion of liability only affects the relationship between the owner/possessor and the Participant. With respect to the legal relationship between us and the Participant, the limitation of liability provided for in § 15 (1) applies. We own the copyrights to all pictures, films, and texts published in our online shop, promotion and information materials, and other media. Any use of such pictures, films, or texts is prohibited unless our express prior written approval has been given. We process personal data of the customers according to the applicable data protection laws. The data will be, if necessary, collected by automatic means, processed, and used. We collect and store the data necessary for the execution of the transaction with the customer. When processing the customer’s personal data, we adhere to the legal requirements. More details are given in our data protection declaration available on our website www.berliner-unterwelten.de/en/data-protection; the data protection declaration is also attached to our GTC, which are available at the ticket counters. The data will only be transmitted to third parties in the cases regulated in this declaration. We will give the customer information about the data stored on him/her on request at any time. (1) Should a provision in this GTC be or become invalid, this shall not affect the validity of the other provisions. The provisions that are invalid or not included in these GTC shall be replaced by the legal provisions (§ 306 Sec. 2 BGB/German Legal Code). (2) If such legal statutes should not be available in the respective case or lead to an intolerable result, the parties will enter into negotiations on a valid provision that comes economically close to the provision that is invalid or not part of this GTC. (1) This contract is governed by German Law; UN Sales Law (CISG) is excluded. If you ordered as a consumer and had your ordinary residence in a country outside of Germany at the time you made your order, the applicability of mandatory legal provisions of such country remain unaffected by the choice of law regulated in the previous sentence. (2) If you are a merchant and you have your residence at the time of the order in Germany, exclusive jurisdiction shall be the residence of the BU e.V., Berlin. Apart from that, the applicable legal provisions for national and international jurisdiction shall apply. (3) Dispute resolution: The EU Commission created an Internet platform for the online resolution of disputes. This platform can be used for out of court resolution of disputes with respect to contractual obligations resulting from online sales contracts. Further information is available under the following link: ec.europa.eu/consumers/odr. We are not willing or obligated to participate in such a dispute resolution procedure on such a consumer dispute resolution platform. 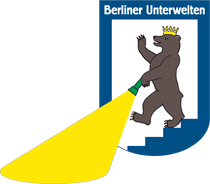 You can download and print the GTC of the Berliner Unterwelten e.V. as PDF files. In order to display the file, you need a relevant program, e.g. adobe acrobat reader, which can be downloaded for free from the Adobe website. In order to save the GTC, you can click with the right mouse button on the following link and then on the item “Ziel speichern unter …“ ”Save target as …“: GTC of the Berliner Unterwelten e.V.. Furthermore, you can save and print the GTC with the relevant functions of your PDF viewer program. You can download and print the GTC of the Berliner Unterwelten e.V. as PDF files. In order to display the file, you need a relevant program, e.g. adobe acrobat reader, which can be downloaded for free from the Adobe Website. In order to save the GTC, you can click with the right mouse button on the following link and then on the item “Ziel speichern unter …“ ”Save target as …“: GTC of the Berliner Unterwelten e.V. Furthermore, you can save and print the GTC with the relevant functions of your PDF viewer program. Den Vorstand bilden als Vorsitzender Dietmar Arnold und als Stellvertreter Andreas Körner und Jürgen Wedemeyer. Der BU e.V. ist seit 5. Dezember 1997 eingetragen im Vereinsregister des Amtsgerichtes Berlin Charlottenburg mit der Registernummer 17912Nz. Der Gerichtsstand ist Berlin. (b) den Käuferinnen und Käufern von Waren über unseren Online-Shop auf www.berliner-unterwelten.de (nachfolgend „Käufer“ genannt). - Gruppen-Veranstaltungen (z.B. Gruppenführungen, Gruppenseminare, geführte Gruppenrundgänge durch Ausstellungen) mit Gruppen von Teilnehmern. Für Seminare, Gruppen-Veranstaltungen oder Bestellungen über den Online-Shop gelten mitunter besondere Bestimmungen (dies wird jeweils in den Bestimmungen deutlich gemacht). Im Folgenden wird der Einfachheit halber für Kunden (Käufer und Teilnehmer) die männliche Form verwendet, die geschlechtsneutral zu verstehen ist. (2) Alle zwischen dem Kunden und uns im Zusammenhang mit dem Vertrag getroffenen Vereinbarungen ergeben sich insbesondere aus diesen AGB, unseren Angeboten (z.B. bei Gruppen-Veranstaltungen sowie Seminaren), unseren Anmelde- und Auftragsbestätigungen und unseren Annahmeerklärungen. Beim Kauf von Eintrittskarten über externe Anbieter können zusätzlich deren AGB Anwendung finden, siehe § 2 (1). (4) Abweichende Bedingungen des Kunden werden nicht akzeptiert. Dies gilt auch, wenn wir der Einbeziehung nicht ausdrücklich widersprechen. Der Vertrag mit einzelnen Teilnehmern an Veranstaltungen kommt durch den Verkauf der Eintrittskarte zustande. Eintrittskarten können persönlich an unseren örtlichen Verkaufsstellen (insbesondere unserem Verkaufspavillon in der Brunnenstraße 105, 13355 Berlin) oder für bestimmte Veranstaltungen über Online-Portale wie z.B. www.reservix.de erworben werden. Erwirbt der Kunde Eintrittskarten über externe Anbieter, wie z.B. www.reservix.de, können zusätzlich zu unseren AGB auch die AGB des externen Anbieters, die dem Kunden beim Bestellvorgang zur Kenntnis gegeben werden, Anwendung finden. Die Eintrittskarten gelten jeweils nur für die auf ihnen verzeichneten Veranstaltungen zu dem angegebenen Datum und der angegebenen Uhrzeit. Die Präsentation von Gruppenveranstaltungen auf unserer Website stellt kein bindendes Angebot zum Abschluss eines Vertrages dar. Interessierte Teilnehmer können uns über das entsprechende Online-Kontaktformular auf unserer Website eine Anfrage für eine Gruppen-Veranstaltung stellen. Diese Anfrage ist unverbindlich und stellt kein bindendes Angebot zum Abschluss eines Vertrages über eine Gruppen-Veranstaltung dar. Nach dem Ausfüllen des Online-Kontaktformulars klickt der Interessent auf den Button „Eingaben überprüfen“. Nach Betätigung dieses Buttons gelangt der Interessent auf eine Übersichtsseite, auf der er alle seine Eingaben sieht und auf der er diese überprüfen kann. Am Ende der Seite kann er wählen zwischen dem Button „zurück zum Formular“, um Korrekturen vorzunehmen, oder dem Button „Bestätigen“, um das Online-Kontaktformular an uns zu versenden. Alternativ können uns interessierte Teilnehmer auch telefonisch, per E-Mail, Fax, schriftlich oder persönlich wegen einer Gruppen-Veranstaltung kontaktieren. Auf Anfrage unterbreiten wir dem Interessenten ein schriftliches Angebot. Durch Unterzeichnung und Rücksendung des Angebots nimmt der Interessent dieses Angebot an. Der Vertrag kommt dann mit dem/den unterzeichnenden Teilnehmern zustande. Soll der Vertrag für den/die Teilnehmer im Namen der Gruppe geschlossen werden, ist dies bereits bei der Anfrage deutlich zu machen und hierbei die Gruppe genau zu identifizieren (Name, Rechtsform, Anschrift, bei Personengesellschaften Namen und Anschriften aller Mitglieder) und die Annahme ist von den Vertretungsberechtigten im Namen und in Vollmacht der Gruppe zu unterzeichnen. Generell gelten unsere Angebote für Veranstaltungen entsprechend der in unserem Angebot bezeichneten Annahmefristen. Ist im Angebot keine Annahmefrist gesetzt, gilt für das Angebot eine Annahmefrist von 30 Tagen nach Angebotserstellung (Datum des Angebots ist entscheidend). Die Annahmeerklärung des Teilnehmers muss uns binnen dieser Annahmefrist zugehen. Der Teilnehmervertrag gilt nur für die in unserem Angebot verzeichnete Veranstaltung zu dem angegebenen Datum und der angegebenen Uhrzeit. Nach Vertragsschluss übersenden wir dem Vertretungsberechtigten die Rechnung über den Teilnahmebeitrag. Zu den Zahlungsbedingungen siehe § 3 (2). Die Präsentation von Seminaren auf unserer Website stellt kein bindendes Angebot zum Abschluss eines Vertrages dar. Interessierte Teilnehmer können ausschließlich über das entsprechende Online-Kontaktformular auf unserer Website unverbindlich für ein Seminar als Interessent anmelden. Diese Seminaranmeldung ist unverbindlich und stellt kein bindendes Angebot zum Abschluss eines Vertrages über eine Seminarteilnahme dar. Wir werden den Zugang des Online-Kontaktformulars unverzüglich per E-Mail bestätigen. In einer solchen E-Mail liegt noch kein verbindliches Angebot auf Abschluss eines Vertrages über das Seminar, es sei denn, in der E-Mail wird neben der Bestätigung des Zugangs zugleich ein solches Angebot erklärt. Ist letzteres nicht der Fall, schicken wir dem Interessenten in einer separaten E-Mail (in Ausnahmefällen auch per Post) ein verbindliches Angebot auf Abschluss des Vertrages über das Seminar. Durch Rücksendung des Angebotes (per E-Mail, Fax oder Brief) an uns nimmt der Interessent dieses Angebot an. Erst hierdurch kommt der Vertrag über die Teilnahme an dem Seminar zustande. Mitunter kommt es vor, dass nach Rücksprache mit dem Teilnehmer Änderungen im Angebot vorgenommen werden. In diesem Fall schicken wir dem Teilnehmer ein neues Angebot (auch als „Anmeldebestätigung“ bezeichnet) mit den Änderungen zu, die der Teilnehmer noch einmal per E-Mail oder Brief annehmen muss. Erst hierdurch kommt der Vertrag über die Teilnahme an dem Seminar mit den Änderungen zustande. Der Teilnehmervertrag gilt nur für die in unserem Angebot verzeichnete Veranstaltung zu dem angegebenen Datum und den angegebenen Zeitraum. Generell gelten unsere Angebote für Seminare entsprechend der in unserem Angebot bezeichneten Annahmefristen. Ist im Angebot keine Annahmefrist gesetzt, gilt für das Angebot eine Annahmefrist von 30 Tagen nach Angebotserstellung (Datum des Angebots ist entscheidend). Die Annahmeerklärung des Teilnehmers muss uns binnen dieser Annahmefrist zugehen. Nach Vertragsschluss erhält der Teilnehmer von uns die Rechnung über den Teilnahmebeitrag. Zu den Zahlungsbedingungen siehe § 3 (3). Die Präsentation und Bewerbung von Waren in unserem Online-Shop stellt kein bindendes Angebot zum Abschluss eines Kaufvertrags dar. Durch Anklicken des Buttons „In den Warenkorb“ können Sie die jeweilige Ware in den virtuellen Warenkorb legen. Dieser Vorgang ist unverbindlich und stellt kein Vertragsangebot dar. Vor Abgabe einer Bestellung wird der Inhalt der Bestellung einschließlich der Kundendaten auf einer Übersichtsseite zusammengefasst. Ihre Daten (z.B. Adresse, Rechnungsdaten, Zahlungsart) können Sie durch Anklicken der entsprechenden Buttons („Zahnrad“) auf der Übersichtsseite korrigieren. Die Bestelldaten im Warenkorb (z.B. Artikel oder Menge) können Sie durch Anklicken des Buttons „Bestelldaten im Warenkorb ändern“ korrigieren (die anderen Daten bleiben erhalten). Mit dem Absenden einer Bestellung über den Online-Shop durch Anklicken des Buttons „zahlungspflichtig bestellen“ geben Sie eine rechtsverbindliche Bestellung ab. Ihr gegebenenfalls nach § 10 bestehendes Recht, Ihre Bestellung zu widerrufen, bleibt hiervon unberührt. Wir werden den Zugang Ihrer über unseren Online-Shop abgegebenen Bestellung unverzüglich per E-Mail bestätigen. In einer solchen E-Mail liegt noch keine verbindliche Annahme der Bestellung, es sei denn, darin wird neben der Bestätigung des Zugangs zugleich die Annahme erklärt. Ein Vertrag kommt erst zustande, wenn wir Ihre Bestellung durch eine Annahmeerklärung oder durch die Lieferung der bestellten Ware annehmen. Sie versichern, dass alle von Ihnen bei der Bestellung bzw. Registrierung von Waren im Online-Shop oder Anmeldung von Veranstaltungen getätigten Angaben [z.B. Name, Adresse, E-Mail-Adresse, Bankverbindung, Rechnungsdaten, notwendige Angaben bei Gruppen, siehe § 2 (2)] wahrheitsgemäß sind. Änderungen sind uns unverzüglich mitzuteilen. Wird aufgrund einer fehlerhaften Angabe von Ihnen eine spätere Korrektur einer Rechnung verlangt, berechnen wir für den Aufwand eine Kostenpauschale von 5,00 EUR pro Rechnungsänderung. Ihnen ist jedoch der Nachweis gestattet, ein Schaden sei überhaupt nicht entstanden oder wesentlich niedriger als diese Pauschale. Vertragssprachen sind ausschließlich Deutsch und Englisch. (a) Bei einer Kontaktaufnahme über unsere Website (z.B. mit einem Online-Kontaktformular) oder einer Bestellung im Online-Shop können Sie diese AGB jederzeit abspeichern bzw. herunterladen bzw. ausdrucken (siehe die Hinweise am Ende dieser AGB). Bei einer Bestellung im Online-Shop bleibt der Vertragstext nach Vertragsschluss gespeichert und ist für Sie zugänglich. Bei einer Bestellung im Online-Shop können Sie den Inhalt Ihrer Bestellung unmittelbar nach Abgabe der Bestellung abspeichern und/oder ausdrucken. (b) Für alle Fernabsatzverträge mit Verbrauchern gilt: Bei Fernabsatzverträgen mit Verbrauchern werden wir Ihnen eine Bestätigung des Vertrages, in der der Vertragsinhalt wiedergegeben ist, einschließlich dieser AGB innerhalb einer angemessenen Frist nach Vertragsschluss, spätestens jedoch bei der Lieferung der Ware oder bevor mit der Ausführung der Dienstleistung begonnen wird, auf einem dauer-haften Datenträger (E-Mail oder Brief) zur Verfügung stellen. Fernabsatzverträge mit Verbrauchern sind alle Verträge im Sinne von § 312 e BGB, bei denen wir für die Vertragsverhandlungen und den Vertragsabschluss mit Ihnen ausschließlich Fernkommunikationsmittel (wie E-Mail, Telefon, Fax, Brief, Online-Shop) verwenden, es sei denn, dass der Vertragsschluss nicht im Rahmen eines für den Fernabsatz organisierten Vertriebs- oder Dienstleistungssystems erfolgt. (c) Erwirbt der Kunde Eintrittskarten persönlich an unseren Verkaufsstellen, liegen dort diese AGB noch einmal aus. Bei einzelnen Teilnehmern an Veranstaltungen kann die Bezahlung von Eintrittskarten persönlich an unseren örtlichen Verkaufsstellen (insbesondere unserem Verkaufspavillon in der Brunnenstraße 105, 13355 Berlin) in bar oder, sofern technisch an der jeweiligen Verkaufsstelle möglich, per EC-/Maestro- oder Kreditkarte erfolgen. Bei einem Erwerb über externe Anbieter, wie z.B. www.reservix.de, gelten die von diesem Anbieter angebotenen Zahlungsweisen. Bei Gruppen-Veranstaltungen ist der Teilnahmebeitrag unmittelbar vorab bis spätestens 2 Wochen vor der Veranstaltung per Überweisung, nach der Veranstaltung in bar an den jeweiligen Referenten oder innerhalb von 8 Tagen nach Zusendung der Rechnung an den BU e.V. zu bezahlen. Rechnungsstellung ist nur möglich bei Rechnungsanschrift innerhalb der Bundesrepublik Deutschland. Die Rechnungsstellung erfolgt, nachdem die Veranstaltung durchgeführt worden ist. Zahlung per Einzugsermächtigung oder per EC-/Maestro- oder Kreditkarte ist nicht möglich. Bei einzelnen Teilnehmern an Seminaren ist der Teilnahmebeitrag spätestens 2 Wochen vor Seminarbeginn durch Überweisung auf das angegebene Konto des BU e.V. zu zahlen. Zahlung per Einzugsermächtigung oder per EC-/Maestro- oder Kreditkarte ist nicht möglich. Bei Bestellungen im Online-Shop sind der Kaufpreis und die Versandkosten auf unser im Online-Shop angegebenes Konto zu überweisen (Vorkasse oder auf Rechnung). Sie sind nicht berechtigt, gegenüber unseren Forderungen aufzurechnen, es sei denn, Ihre Gegenansprüche sind rechtskräftig festgestellt oder unbestritten. Sie sind zur Aufrechnung gegenüber unseren Forderungen auch berechtigt, wenn Sie Mängelrügen oder Gegenansprüche aus demselben Vertrag geltend machen. (1) Unsere Veranstaltungen sind im Allgemeinen nicht barrierefrei. Es herrscht ein generelles Rauchverbot. Die Mitnahme von Tieren ist verboten. Das Fotografieren und Filmen innerhalb der von uns betreuten Anlagen ist generell untersagt. Große Taschen und Rucksäcke sowie sperrige und scharf-kantige Gegenstände dürfen nicht mitgeführt werden. Eine Aufbewahrungsmöglichkeit besteht nicht. Den Anweisungen unseres Personals ist unbedingt Folge zu leisten. (2) Für bestimmte Veranstaltungen gelten Altersbeschränkungen und/oder es ist festgelegt, dass Minderjährige nur in Begleitung eines Erziehungsberechtigten teilnehmen dürfen. Für bestimmte Veranstal-tungen gelten zudem besondere Anforderungen an die Bekleidung und/oder die Ausrüstung. Einzelheiten ergeben sich aus dem jeweiligen Faltblatt und/oder unserer Homepage und/oder unserer Anmeldebestätigung und/oder Sicherheitsbelehrung. (3) Zu Beginn jeder Veranstaltung findet eine Sicherheitsbelehrung der Teilnehmer statt. Bei Versäumnis dieser ist ein Nacheinlass nicht mehr möglich! Bezahlte Eintrittskarten werden in diesem Fall nicht zurückerstattet. Den Teilnehmern ist jedoch der Nachweis gestattet, ein Schaden sei überhaupt nicht entstanden oder wesentlich niedriger als der Teilnehmerpreis. Teilnehmern, die erkennbar unter dem Einfluss von berauschenden Mitteln stehen, die den Ablauf der Tour oder anderer Veranstaltungen nachhaltig stören, sich oder andere Personen gefährden, den Anweisungen unseres Personals oder den Teilnahmevoraussetzungen und Verhaltensregeln in § 4 unserer Allgemeinen Geschäftsbedingungen zuwiderhandeln, unsere im Einzelfall erteilte Sicherheitsbelehrung nicht akzeptieren oder die im Einzelfall abzugebenden Haftungsverzichterklärungen [s. § 15 (2)] verweigern, kann die weitere Teilnahme bzw. der Aufenthalt in den Anlagen vom jeweiligen Referenten bzw. dem Aufsichtspersonal des BU e.V. untersagt werden. Dem nach § 5 ausgeschlossenen Teilnehmer wird der Preis nicht erstattet. Den Teilnehmern ist jedoch der Nachweis gestattet, ein Schaden sei überhaupt nicht entstanden oder wesentlich niedriger als der Teilnehmerpreis. (1) Wird aus Gründen, die wir nicht zu vertreten haben (z.B. höhere Gewalt, Krankheit, Streik bei der BVG, unabwendbare Instandsetzungs- und Sicherungsmaßnahmen), die Durchführung der Veranstaltung unmöglich oder unzumutbar erschwert, haben wir das Recht zum Rücktritt vom Vertrag. Wir haben zudem ein Recht zum Rücktritt vom Vertrag, wenn die Mindestteilnehmerzahl bei Seminaren von 7 Personen und bei öffentlichen Veranstaltungen von 5 Personen nicht erreicht wird. Zudem behalten wir uns vor, Veranstaltungen abzusagen, wenn die Sicherheit der Teilnehmer nicht gewährleistet werden kann. Das jeweilige Rücktrittsrecht gem. § 6 (1) müssen wir unverzüglich ausüben. Bereits gezahlte Preise werden unverzüglich an die Teilnehmer erstattet. (2) Uns steht ferner ein Recht zum Rücktritt vom Vertrag zu, wenn wir zu der Überzeugung gelangen, dass anwesende Teilnehmer die ordentliche Durchführung der Veranstaltung massiv stören oder behindern, die allgemeine Verkehrssicherheit gefährden, verfassungsfeindliche Äußerungen aufstellen oder Handlungen durchführen oder verfassungsfeindliche Symbole verwenden. Eine Erstattung der bezahlten Eintrittskarten/Preise findet nicht statt. Den Teilnehmern ist jedoch der Nachweis gestattet, ein Schaden sei überhaupt nicht entstanden oder wesentlich niedriger als der Teilnehmerpreis. Von vertraglich vereinbarten Gruppen-Veranstaltungen [siehe § 2 (2)] sowie Seminaren [siehe § 2 (3)] können die Teilnehmer ohne Angabe von Gründen bis 7 Tage vor der Veranstaltung ohne Stornierungskosten zurücktreten. Erfolgt die Stornierung bis 24 Stunden vor der Veranstaltung, sind 30% des Preises als Stornokosten zu zahlen. Erfolgt die Stornierung innerhalb von 24 Stunden vor der Veranstaltung, sind 80% des Preises als Stornokosten zu zahlen. Erscheint eine Gruppe oder ein Teilnehmer gar nicht zu der von ihr gebuchten Veranstaltung, ohne vorher storniert zu haben, so wird der volle vereinbarte Preis berechnet. Den Teilnehmern ist jedoch der Nachweis gestattet, ein Schaden sei überhaupt nicht entstanden oder wesentlich niedriger als der Teilnehmerpreis. Die vorstehenden Rechte zum Rücktritt bzw. zur Stornierung gelten nicht für Verträge mit einzelnen Teilnehmern an sonstigen Veranstaltungen [siehe § 2 (1)]. Bei Gruppen-Veranstaltungen müssen Abweichungen der angemeldeten und gebuchten Teilnehmerzahl spätestens am Vortag der Führung bis 16:00 Uhr (Zugang beim BU e.V. ist entscheidend) schriftlich oder per E-Mail mitgeteilt und anschließend von uns bestätigt werden. Bei Versäumnis werden wir bei Verringerung der Teilnehmerzahl die angemeldeten und bestätigten Teilnehmer (und hierfür geplanten Touren) in Rechnung stellen. Beispiel: Ist die Teilnehmerzahl einer Tour auf 30 Personen beschränkt und meldet der Kunde 35 Teilnehmer an, stellen wir zwei Touren und das hierfür notwendige Personal zur Verfügung. Erscheinen zum vereinbarten Termin lediglich 25 Personen, ohne dass dies rechtzeitig mitgeteilt wurde, wird die zweite Tour entfallen, dem Kunden aber in Rechnung gestellt. Den Teilnehmern ist jedoch der Nachweis gestattet, ein Schaden sei überhaupt nicht entstanden oder wesentlich niedriger als der Teilnehmerpreis. Bei von uns nicht bestätigter Erhöhung der Teilnehmerzahl behalten wir uns vor, die überzähligen Teilnehmer von der Veranstaltung auszuschließen, sollten die maximalen Gruppengrößen überschritten werden und keine ausreichenden Personalkapazitäten zur Verfügung stehen. Wir bitten um rechtzeitiges Erscheinen zur angemeldeten Veranstaltung (mindestens 15 Minuten vor Beginn der Veranstaltung). Wenn Teilnehmer nicht pünktlich zum vertraglich vereinbarten Treffpunkt und Veranstaltungszeitpunkt erscheinen, geraten sie in Verzug. Bei einer Verspätung sind wir berechtigt, die Veranstaltung entschädigungslos um die Zeit zu kürzen, um die sich der Veranstaltungsbeginn verzögert hat. Sind die Teilnehmer mit der Annahme der Leistung über 15 Minuten in Verzug, verlieren sie generell den Anspruch auf Durchführung der Veranstaltung, da nachfolgende Zeitfenster in der Regel durch nachfolgende Besuchergruppen besetzt sind. Wir haben in diesem Fall Anspruch auf den vereinbarten Preis für die Veranstaltung. Den Teilnehmern ist jedoch der Nachweis gestattet, ein Schaden sei überhaupt nicht entstanden oder wesentlich niedriger als der Teilnehmerpreis. (1) Wenn Sie Verbraucher sind, steht Ihnen nach Maßgabe der gesetzlichen Bestimmungen ein Widerrufsrecht zu. Zum Begriff des Verbrauchers siehe § 2 (7) (b). (2) Machen Sie als Verbraucher von Ihrem Widerrufsrecht nach § 10 (1) Gebrauch, so haben Sie bei Warenbestellungen die regelmäßigen Kosten der Rücksendung zu tragen. (d) bei Verträgen zur Lieferung von Zeitungen, Zeitschriften oder Illustrierten mit Ausnahme von Abonnement-Verträgen. Die Widerrufsfrist beträgt vierzehn Tage ab dem Tag an dem Sie oder ein von Ihnen benannter Dritter, der nicht der Beförderer ist, die Waren in Besitz genommen haben bzw. hat und bei Dienstleistungen ab dem Tag des Vertragsabschlusses. Um Ihr Widerrufsrecht auszuüben, müssen Sie uns [Berliner Unterwelten e.V., Brunnenstraße 105, 13355 Berlin, Tel. : (030) 499 105 17, Fax: (030) 499 105 19, E-Mail: buero[at]berliner-unterwelten.de] mittels einer eindeutigen Erklärung (z. B. ein mit der Post versandter Brief, Telefax oder E-Mail) über Ihren Entschluss, diesen Vertrag zu widerrufen, informieren. Sie können dafür das beigefügte Muster-Widerrufsformular verwenden, das jedoch nicht vorgeschrieben ist. Sie können sich das Muster-Widerrufsformular von unserer Webseite www.berliner-unterwelten.de/widerrufsrecht herunterladen, ausfüllen und uns übermitteln. Wenn Sie diesen Vertrag widerrufen, haben wir Ihnen alle Zahlungen, die wir von Ihnen erhalten haben, einschließlich der Lieferkosten (mit Ausnahme der zusätzlichen Kosten, die sich daraus ergeben, dass Sie eine andere Art der Lieferung als die von uns angebotene, günstigste Standardlieferung gewählt haben), unverzüglich und spätestens binnen vierzehn Tagen ab dem Tag zurückzuzahlen, an dem die Mitteilung über Ihren Widerruf dieses Vertrags bei uns eingegangen ist. Für diese Rückzahlung verwenden wir dasselbe Zahlungsmittel, das Sie bei der ursprüngli-chen Transaktion eingesetzt haben, es sei denn, mit Ihnen wurde ausdrücklich etwas anderes vereinbart; in keinem Fall werden Ihnen wegen dieser Rückzahlung Entgelte berechnet. - Im Falle von Kaufverträgen gilt: Wir können die Rückzahlung verweigern, bis wir die Waren wieder zurückerhalten haben oder bis Sie den Nachweis erbracht haben, dass Sie die Waren zurückgesandt haben, je nachdem, welches der frühere Zeitpunkt ist. - Im Falle von Dienstleistungsverträgen gilt: Haben Sie verlangt, dass die Dienstleistungen während der Widerrufsfrist beginnen soll, so haben Sie uns einen angemessenen Betrag zu zahlen, der dem Anteil der bis zu diesem Zeitpunkt, zu dem Sie uns von der Ausübung des Widerrufsrechts hinsichtlich dieses Vertrages unterrichten, bereits erbrachten Dienstleistungen im Vergleich zum Gesamtumfang der im Vertrag vorgesehenen Dienstleistungen entspricht. (1) Wir sind bei Waren zu Teillieferungen berechtigt, soweit dies für den Kunden zumutbar ist. (2) Die Lieferfrist für Waren beträgt circa fünf (5) Werktage, soweit nichts anderes vereinbart wurde. Sie beginnt – vorbehaltlich der Regelung in § 11 (3) – mit Vertragsschluss. (3) Bei Bestellungen von Kunden mit Wohn- oder Geschäftssitz im Ausland oder bei begründeten An-haltspunkten für ein Zahlungsausfallrisiko behalten wir uns vor, erst nach Erhalt des Kaufpreises nebst Versandkosten zu liefern (Vorkassenvorbehalt). Falls wir von dem Vorkassenvorbehalt Gebrauch ma-chen, werden wir Sie unverzüglich unterrichten. In diesem Fall beginnt die Lieferfrist mit Bezahlung des Kaufpreises und der Versandkosten. (1) Sämtliche Preisangaben für Waren und Leistungen auf unserer Website sowie sonstigen Werbemitteln sind Gesamtpreise inklusive der gesetzlichen Umsatzsteuer, aber exklusive der anfallenden Versandkosten. (2) Die Versandkosten bei Bestellungen im Online-Shop sind in unseren Preisangaben auf unserer Website angegeben. Der Preis einschließlich Umsatzsteuer und anfallender Versandkosten wird außerdem in der Bestellmaske angezeigt, bevor der Kunde die Bestellung absendet. (3) Wenn wir Ihre Bestellung im Online-Shop gemäß § 11 (1) durch Teillieferungen erfüllen, entstehen Ihnen nur für die erste Teillieferung Versandkosten. Erfolgen die Teillieferungen auf Ihren Wunsch, berechnen wir für jede Teillieferung Versandkosten. (4) Wenn Sie Ihre Vertragserklärung bei Bestellungen im Online-Shop wirksam gemäß § 10 widerrufen, können Sie unter den gesetzlichen Voraussetzungen die Erstattung bereits bezahlter Kosten für den Versand zu Ihnen (Hinsendekosten) verlangen [vgl. zu sonstigen Widerrufsfolgen § 10 (3)]. Gelieferte Waren bleiben bis zur vollständigen Bezahlung des Kaufpreises in unserem Eigentum. (1) Wir haften für Sach- oder Rechtsmängel gelieferter Waren nach den geltenden gesetzlichen Vorschriften, insbesondere §§ 434 ff. BGB. Die Verjährungsfrist für gesetzliche Mängelansprüche beträgt zwei Jahre und beginnt mit der Ablieferung der Ware. (2) Etwaige von uns gegebene Verkäufergarantien für bestimmte Waren oder von den Herstellern bestimmter Waren eingeräumte Herstellergarantien treten neben die Ansprüche wegen Sach- oder Rechtsmängeln im Sinne von § 14 (1). Einzelheiten des Umfangs solcher Garantien ergeben sich aus den Garantiebedingungen, die den Waren gegebenenfalls beiliegen. (a) Wir haften unbeschränkt für Vorsatz und grobe Fahrlässigkeit. (b) Für einfache Fahrlässigkeit haften wir – außer im Falle der Verletzung des Lebens, des Körpers oder der Gesundheit – nur, sofern wesentliche Vertragspflichten, deren Einhaltung für die Erreichung des Vertragszweckes von besonderer Bedeutung ist (Kardinalpflichten), verletzt werden. Die Haftung ist begrenzt auf den vertragstypischen und vorhersehbaren Schaden. (c) Die Haftung für mittelbare und unvorhersehbare Schäden, Produktions- und Nutzungsausfall, entgangenen Gewinn, ausgebliebene Einsparungen und Vermögensschäden wegen Ansprüchen Dritter, ist im Falle einfacher Fahrlässigkeit – außer im Falle der Verletzung des Lebens, des Körpers oder der Gesundheit – ausgeschlossen. (d) Eine weitergehende Haftung als in diesem Vertrag ist – ohne Rücksicht auf die Rechtsnatur des geltend gemachten Anspruchs – ausgeschlossen. Vorstehende Haftungsbeschränkungen bzw. -ausschlüsse gelten jedoch nicht für eine gesetzlich zwingend vorgeschriebene verschuldensunabhängige Haftung (z. B. gemäß Produkthaftungsgesetz) oder die Haftung aus einer verschuldensunabhängigen Garantie. (e) Soweit die Haftung nach § 15 (1) (b) und § 15 (1) (c) ausgeschlossen oder beschränkt ist, gilt dies auch für die persönliche Haftung unserer Angestellten, Arbeitnehmer, Vertreter, Organe und Erfüllungsgehilfen. (2) In Einzelfällen macht der Eigentümer oder Besitzer einer Anlage den Zutritt davon abhängig, dass eine „Erklärung zum Haftungsverzicht“ abgegeben bzw. ein Haftungsausschluss vereinbart wird. Der Teilnehmer muss in solchen Fällen gegenüber dem Eigentümer oder Besitzer der Anlage die Erklärung zum Haftungsverzicht abgeben bzw. mit ihm den Haftungsausschluss vereinbaren. Ein entsprechendes Formular legen wir gegebenenfalls dem Teilnehmer zur Unterschrift vor. Die Erklärung zum Haftungsverzicht bzw. der Haftungsausschluss betrifft nur das Verhältnis zwischen dem Eigentümer/Besitzer und dem Teilnehmer. Im Verhältnis zwischen uns und den Teilnehmern bleibt es stets bei der in § 15 (1) beschriebenen Haftungsbeschränkung. Wir haben an allen Bildern, Filme und Texten, die in unserem Online Shop, Werbe- und Informationsmaterialien sowie sonstigen Medien veröffentlicht werden, die urheberrechtlichen Nutzungsrechte. Eine Verwendung der Bilder, Filme und Texte ist ohne unsere ausdrückliche schriftliche Zustimmung nicht gestattet. Wir bearbeiten die personenbezogenen Teilnehmerdaten unter Einhaltung der anwendbaren Datenschutzbestimmungen. Die Daten werden, falls erforderlich, in automatisiertem Verfahren erfasst, verarbeitet und genutzt. Wir erheben und speichern die für die Geschäftsabwicklung notwendigen Daten des Kunden. Bei der Verarbeitung der personenbezogenen Daten des Kunden beachten wir die gesetzlichen Bestimmungen. Nähere Einzelheiten ergeben sich aus der auf unserer Website abrufbaren Datenschutzerklärung (www.berliner-unterwelten.de/datenschutz), die auch den an unseren Verkaufsstellen ausgelegten AGB beigefügt ist. Eine Übermittlung der Daten an Dritte über die dort geregelten Fälle hinaus findet nicht statt. Der Kunde erhält auf Anforderung jederzeit Auskunft über die zu seiner Person gespeicherten Daten. (1) Sollte eine Regelung in den Allgemeinen Geschäftsbedingungen unwirksam sein oder werden, berührt dies nicht die Wirksamkeit der übrigen Regelungen. An die Stelle von nicht einbezogenen oder unwirksamen Bestimmungen dieses Vertrages tritt das Gesetzesrecht (§ 306 Abs. 2 BGB). (2) Sofern solches Gesetzesrecht im jeweiligen Fall nicht zur Verfügung steht (Regelungslücke) oder zu einem untragbaren Ergebnis führen würde, werden die Parteien in Verhandlungen darüber eintreten, anstelle der nicht einbezogenen oder unwirksamen Bestimmung eine wirksame Regelung zu treffen, die ihr wirtschaftlich möglichst nah kommt. (1) Es gilt das Recht der Bundesrepublik Deutschland unter Ausschluss des UN-Kaufrechts (CISG). Wenn Sie die Bestellung als Verbraucher abgegeben haben und zum Zeitpunkt Ihrer Bestellung Ihren gewöhnlichen Aufenthalt in einem anderen Land haben, bleibt die Anwendung zwingender Rechtsvorschriften dieses Landes von der in Satz 1 getroffenen Rechtswahl unberührt. (2) Wenn Sie Kaufmann sind und Ihren Sitz zum Zeitpunkt der Bestellung in Deutschland haben, ist ausschließlicher Gerichtsstand der Sitz des BU e.V., Berlin. Im Übrigen gelten für die örtliche und die internationale Zuständigkeit die anwendbaren gesetzlichen Bestimmungen. (3) Streitbeilegung: Die EU-Kommission hat eine Internetplattform zur Online-Beilegung von Streitig-keiten geschaffen. Die Plattform dient als Anlaufstelle zur außergerichtlichen Beilegung von Streitigkeiten betreffend vertragliche Verpflichtungen, die aus Online-Kaufverträgen erwachsen. Nähere Informa-tionen sind unter dem folgenden Link verfügbar: ec.europa.eu/consumers/odr. Zur Teilnahme an einem Streitbeilegungsverfahren vor einer Verbraucherschlichtungsstelle sind wir weder bereit noch verpflichtet. Sie können sich die Allgemeinen Geschäftsbedingungen des Berliner Unterwelten e.V. als PDF herunterladen und ausdrucken. Zur Anzeige der Datei ist ein entsprechendes Programm, z.B. Adobe Acrobat Reader notwendig, der kostenlos auf der Adobe Website heruntergeladen werden kann. Zum Speichern der AGB können Sie auch mit der rechten Maustaste auf den folgenden Link klicken und dann den Punkt „Ziel speichern unter …“ bzw. „Save target as …“ wählen: Allgemeinen Geschäftsbedingungen des Berliner Unterwelten e.V..
Ferner können Sie die AGB über die jeweiligen Schaltflächen im PDF-Betrachtungsprogramm speichern und drucken.